Home » Events » Dances » The BIG Monthly Swing Dance featuring The Swing Vipers! No partner or experience needed to attend. Our big monthly dance is always a fun, social event for all. 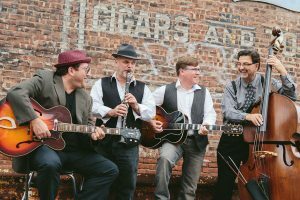 This month we’re featuring the SWING VIPERS!